A little glass keeper bottles. 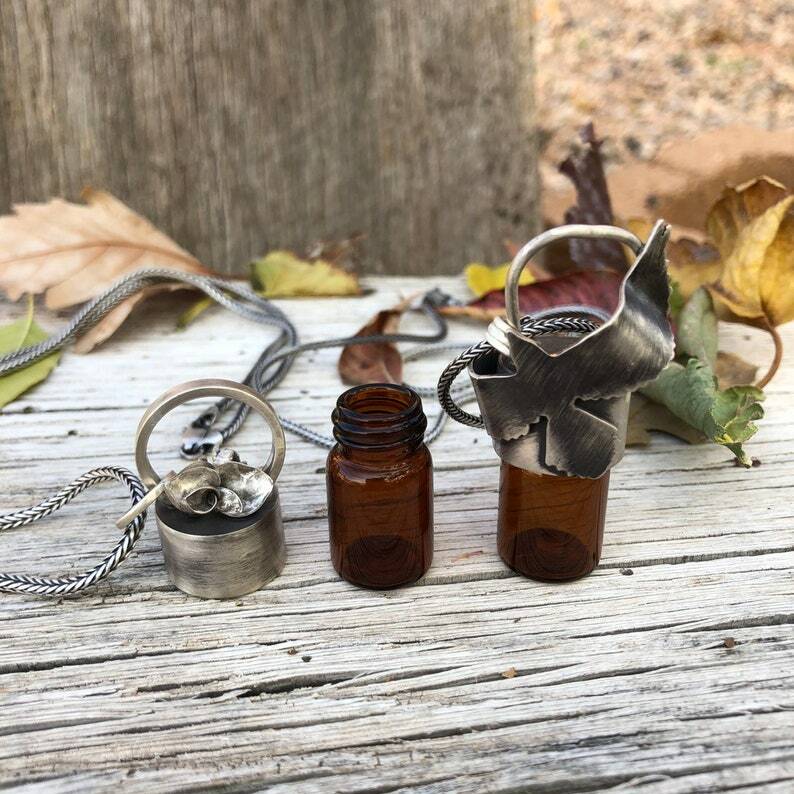 Handcrafted Sterling Silver caps screw on to these cute little glass amber bottles. • Amber Glass Vial measures 1” Tall & 1/2” Wide. • Raven/Hawk Option measures approximately 2” from top of bail to bottom of glass. • Succulent Option measures approximately 2” from top of bail.